Take charge of a club from top to bottom in the most comprehensive rugby league management game ever devised. 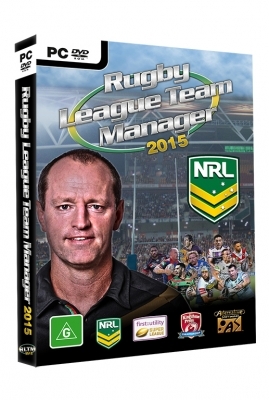 Alternative Software is delighted to announce August the 6th as the Australian and New Zealand retail release date for “Rugby League Team Manager 2015”, the pinnacle in rugby league management simulation games. Rugby League Team Manager 2015 delivers the most comprehensive rugby league simulation ever produced, with the biggest licensed competitions from across the world, including the NRL, Super League and the RFL. Featuring over 7,000 senior players and over 220 playable teams.